Hanoi (VNA) - The Vietnam Environment Administration’s Centre for Environmental Monitoring has issued a dispatch to guide four central coastal provinces affected by the mass fish deaths in April in how to take, preserve and transport water samples for regular testing. Samples will be taken within a distance of 1.5km from the beaches, at 0.3-0.5m below the water surface, for testing twice a day. The samples will be taken at 6 sites in Ha Tinh, four sites in Quang Binh, three in Quang Tri and nine in Thua Thien-Hue. 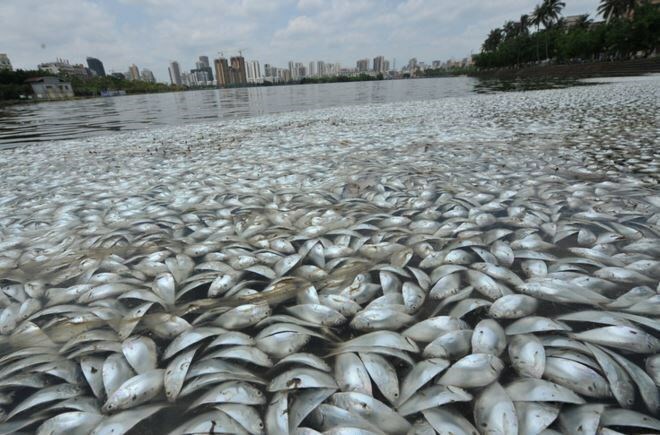 The Ministry of Natural Resources and Environment also requested authorities of Ha Tinh, Quang Binh, Quang Tri and Thua Thien-Hue to keep close watch on the handling of issues related to the unusual mass fish deaths, regularly sum up and assess results on investigations into the incident, monitor water quality near the coast and environmental hygiene.